France is a remarkable European country full of exciting historical landmarks, recreational opportunities, incredible scenery and wonderful cities like Paris and Lyon. Many tourists from around the world head to France for their holidays in order to enjoy all of these things and more on a relaxing week or fortnight. For some tourists, however, France is chosen for a holiday thanks to the large number of motorsports available within the country. Whether you are looking for a chance to try driving an ATV in the wilderness or you want to get behind the wheel of a racing vehicle, you can do it while in France. Here are some of the top motorsports holiday ideas in France. In order to see one of the most exciting amateur races in the world, head to the region of Poitou-Charentes in the centre of France. It is here that a road race takes place each September among British and French drivers. The cars are street legal vehicles, very different from the racing cars you might see at NASCAR or the Grand Prix. These vehicles are privately owned and can cost well over one million Euros apiece. Expect to see Bugattis, Alfa Romeos and Porsche’s in the streets for this annual race. The drivers speed through the streets on a preset source through small towns. 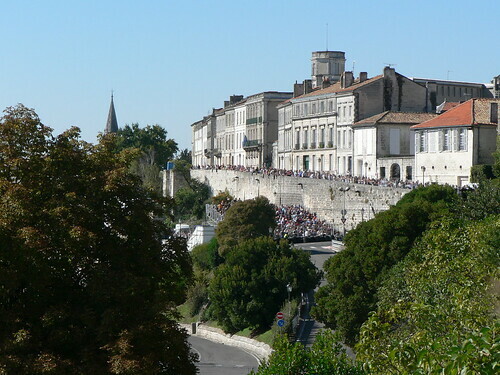 There are no costs involved with watching the event, so motorsports enthusiasts should absolutely make sure to watch the Circuit Des Remparts if they have the chance. Other attractions in the region of Poitou-Charentes include a family park called Puy du Fou and a science and technology park called Futuroscope. Accommodations should be booked in advance due to the popularity of the event. A view of the grandstand at the Circuit Des Ramparts. This exciting motorsports centre is located in the province of Ardèche in south-central France. Open each year from April to October, this facility offers visitors the chance to get behind the wheel and enjoy some incredible thrills while in France. It is possible to rent motorcycles, go carts and quad bikes from the facility. While some of the motorcycles are street legal and can be used as a means of transportation around the area, most of the vehicles are for off-road use around the property. Expect dirt trails, winding curves and steep downhills where you can really build up speed in a fast vehicle. Costs start at €40 for one ride or up to €300 for an entire weekend getaway consisting of two full days of riding in the wilderness. 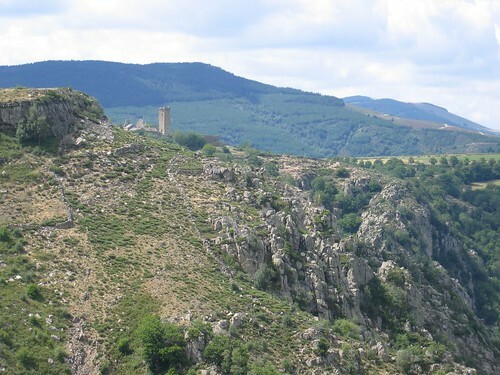 Another beautiful and popular attraction in the region is the Haut Chassezac, a large canyon that is perfect for hiking or even kayaking through in the warmer summer months. Accommodations in the area are plentiful and include several guesthouses, manor homes, hotels and even private rental apartments and villas. A view of the Haut Chassezac (Gorge). If you want to sit behind the wheel of some of the fastest cars on Earth, consider a Formula 1 racing holiday in the south of France. The F1 Racing Experience is a company geared toward international visitors who want to try driving an F1 car on the tracks of Monaco. You will have to schedule your trip to coincide with the few available dates each year. Attractions nearby include the beaches and casinos of Monaco and Cannes. Accommodation can be difficult to arrange during the Formula 1 Monaco event, but will be plentiful throughout the rest of the year and includes many upscale hotels and lavish villas. Image Credits: rs87330 and Cedric. The beautiful scenery in France and the adrenaline rush of the motor sports that you can engage in is a rare opportunity for a wonderful getaway. No doubt why tourists, esp. sports-minded tourists, love coming back to this place!